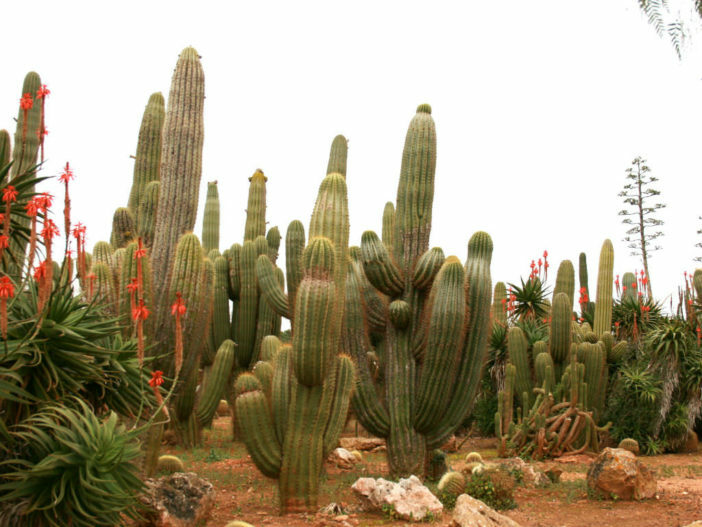 Echinopsis atacamensis has a tall columnar habit, sometimes forming branches and becoming treelike. 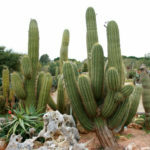 It grows up to 33 feet (10 m) high, with stems up to 28 inches (70 cm) in diameter. 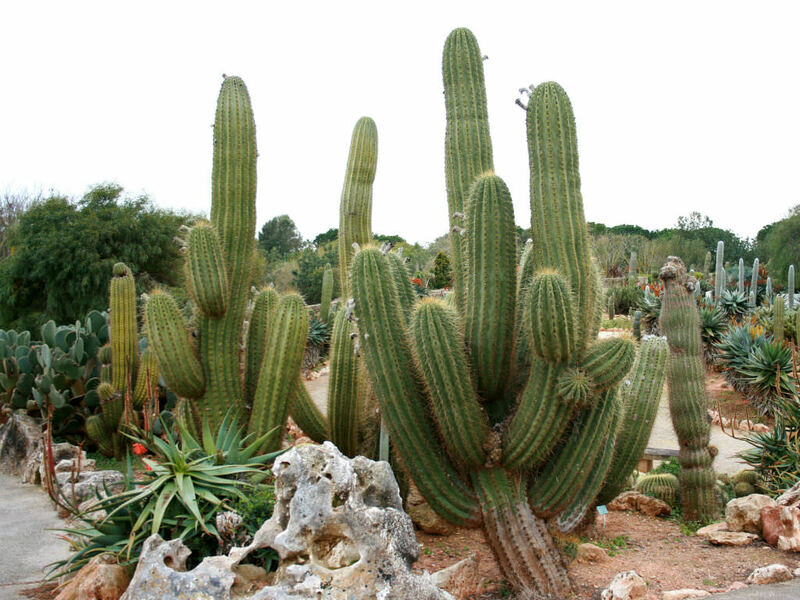 The stems have 20-30 ribs and areoles with 50-100 maroon colored spines, the longest up to 12 inches (30 cm) long. 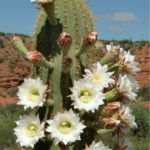 The rose-white flowers are up to 6 inches (15 cm) long, borne on the sides of the stems. The dark green, edible fruits are densely covered with hairs, up to 2 inches (5 cm) long. 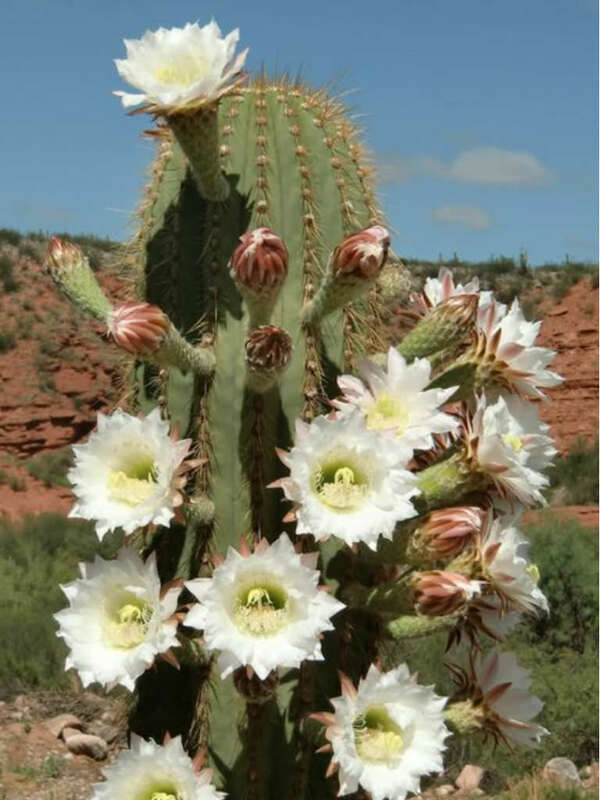 Echinopsis atacamensis is native to Chile, Argentina and Bolivia.